What if Beethoven wrote hip-hop? 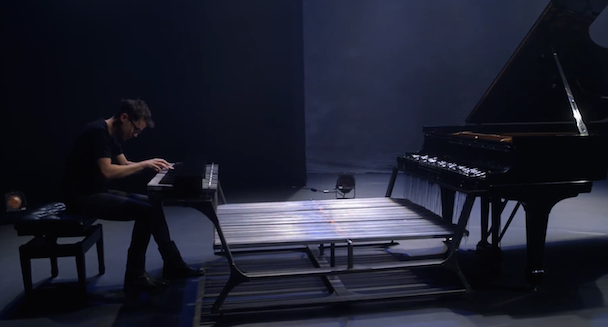 What if Debussy dabbled in electronic music? What does Stravinsky have in common with sampling? We’re living at a time musically when anything can happen. 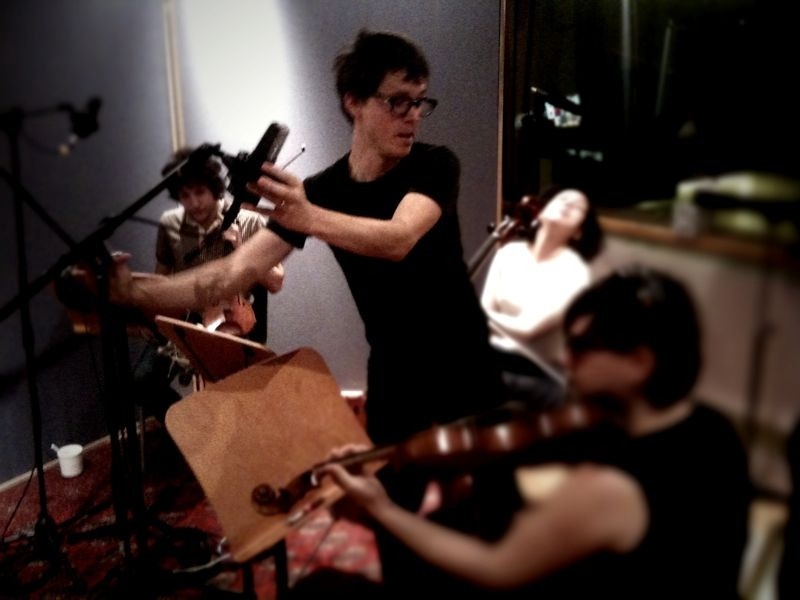 At the forefront of blending classical music with new technology is Ryan Lott, founder of the electronic band Son Lux and composer of yMusic’s newest album, First. Ryan Lott grew up in Connecticut begrudgingly learning classical piano and sneaking off to hip-hop shows when he could. “I feel like I always had a yin and yang experience with music. I’ve always been able to rock out, and then I’ve always had to take piano lessons, too.” At 16, Lott heard Bartok’s Music for Strings, Percussion, and Celesta and realized that he couldn’t not compose music. With Bartok, he knew that he had found his calling. Lott then moved to Indiana University to pursue composition where he also studied World Music and began collaborating with dancers, including his future wife, Jennifer. “I don’t know why, but dancers have always responded really well to my music, I think part of it is that I think rhythm and sound-color before melody and harmony.” From there, Lott and his wife moved to Cleveland and co-founded the Wake Arts Collective and then in 2008 Lott released the aptly-titled album At War with Walls & Mazes under the moniker Son Lux. In 2011, he released We Are Rising which was recorded in 28 days as part of the RPM Challenge. Soon after came Lanterns in 2013, Bones in 2015, and now Brighter Wounds in 2018. So, what does an electronic/ hip-hop band have to do with classical music? “When I first started out I was very poor and I was beginning with a lot of limitations. The answer to being successful wasn’t buying more sound equipment or the latest technology, it was learning to be resourceful with what I had. I didn’t have any budget but I had a library card and a stack of classical cds. I developed a very tedious process of listening for specific notes on recordings and figured out a way to arrange music from samples, but instead of just looking for old soul tracks, I was looking for chamber music. My ear was drawn to those textures and ideas, but my mind was in hip hop," he recalls. "So the way I assembled it and put it together is what I learned from hip hop, but I learned what to look for from growing up studying classical music." 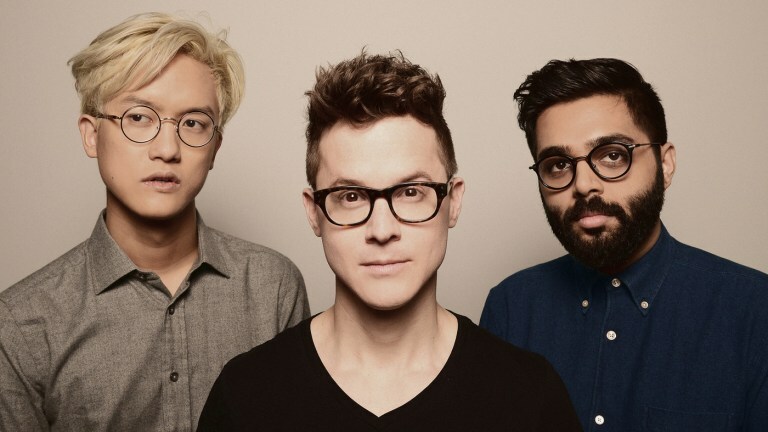 Son Lux’s foundation is built on classical music, Lott has built a career bridging the gap between the world of classical music and the pop world. Lott is subversively bringing Rachmaninoff and Stravinsky to the main stages of both concert halls and clubs. He’s embraced Beethoven as much as he’s embraced rap and technology and he has created a unique tapestry of sound. A self-described “collagist,” Lott is a prime example of what happens when worlds collide. Through a process known as sampling, a technique of digitally encoding music or sound and reusing it as part of a composition or recording, Lott has created a “...patchwork of sound, a brand new marriage of rhythms and textures. …[Sampling] enables a theoretically infinite loop that is consistently perfect in that each repetition is identical and it really opens up the world of texture and timbre and in placing sound on the level of an instrument, it puts them on a higher plane. It is the sound itself which is a musical idea. You’re taking sounds from seemingly unrelated sources and creating a symbiosis and textural pathwork between the two.” For instance, in his single, Lost it to Trying, Lott created a high-pitched virtual instrument from a highly-manipulated Rachmaninoff sample. In taking classical music snippets, Lott has enabled himself to create an entirely new “world of sound’. Lott has taken this “world of sound” and used it collaborations with everyone from Sufjan Stevens to the rapper to Serengeti to the avant-garde chamber ensemble, yMusic. Lott and yMusic recently collaborated on the album First and with the “repetitive structures and ominous background” Lott’s signature is all over the album.